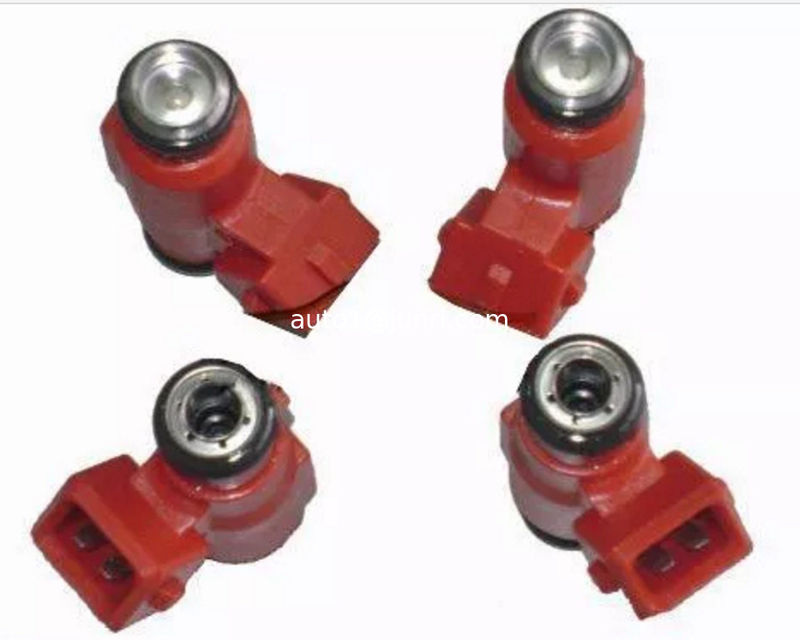 What style are these injectors? These are called Bosch EV6 Type III. They are the 'long' style, very commonly used in Ford and GM products. This style of injector has a terrific reputation for quality, longevity, and spray pattern. These are the good ones, and they replaced the EV1 body style with much better technology. According to Bosch, they are compatible with gasoline and E85, work from 6 to 16 volts, and can handle fuel pressure up to 8 bar (116 PSI). What harness connector do they have? These injectors use the Bosch Minitimer connector. It's also called Jetronic. Often, this rectangular shaped connector is incorrectly referred to as an "EV1" connector. EV refers to body style, not connector type. However, this connector was often used on EV1 style injectors. What do these injectors fit? These injectors came from the factory in '96 to '97 Volvo 850 2.3 5 cyl gas turbo engines, and '98 Volvo S70 and V70 2.4 gas turbo engines. These injectors were sold by Ford Racing as 30 lb/hr injectors commonly used on Mustangs and other modified Fords. They are best suited to engines with one intake valve per cylinder, such as the 302, the 4.6L 2V, the B-headed 4.6L 4V, most GM LS engines, and others. These injectors can be used in some GM engines such as the LS motors that came in Camaros, Firebirds, Corvettes, and Trucks. *Check injector dimensions and harness connector type. Often, these injectors will fit, but may require different harness ends or fuel rails. I can tell you for sure that they fit Mustang GT V8's from 1986 to 2004 as a direct bolt-in. They were also a direct bolt-in for many Camaros and Firebirds, and some Corvettes. Will these injectors fit other applications? Sure. You can make an injector fit anything with the right parts or tools. For example, some cars may require different fuel rails. Many GM trucks will require a different injector harness pigtail. Some cars might require spacers. But these are the typical EV6 long style injector used in many factory cars. You can check the exact dimensions of this injector below. Do these injectors require tuning? Yes, unless you are buying them to fit your Volvo listed above. If you stick these in a Mustang or GM product, you must have some sort of tuning done to compensate for the increased flow rate.